The Chase Sapphire Reserve and Sapphire Preferred credit cards are offered with no annual fees to active duty military servicemembers and their spouses. This is an amazing opportunity for military servicemembers, along with their spouses, to pick up some of the top Chase travel rewards cards available. This recent change was implemented on all personal Chase cards opened after 20 September 2017. Chase made the change to comply with the Military Lending Act (MLA), which is similar to the Servicemembers Civil Relief Act (SCRA). I recommend picking up 1 or 2 Chase Sapphire Preferred OR Reserve cards ASAP due to the new annual fee waiver. All Chase personal credit cards are fee waived for military members and their spouses. The CSR is one of those ultra-luxury travel cards, like the AMEX Platinum, that offers tremendous recurring benefits and value with no annual fee for military personnel. I had a Chase Sapphire Reserve card since it launched with the epic 100,000 Ultimate Reward point bonus. Unfortunately, that is no longer available. However, my wife did recently pick up her own Chase Sapphire Reserve card. Within a few days of receiving the card, she received a separate letter from Chase stating that her account was being handled in accordance with the MLA. Therefore, we now have a CSR that we pay no annual fee on! Thanks Chase! 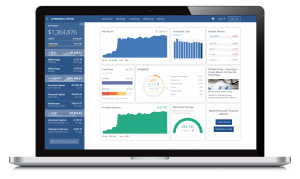 Should I get the Sapphire Reserve or Preferred? Because Chase recently increased the bonus to 60,000 points on the Sapphire Preferred, I am recommending all military personnel first get the Chase Sapphire Preferred, to earn the extra 10,000 Ultimate Reward Points. After 1 year, upgrade the CSP to a CSR and immediately access the $300 annual travel credit and increased 3x earn on restaurant and travel spend. The main difference between the Preferred and the Reserve for military members is the recurring $300 annual travel credit. This is a huge boon that could be worth $6000 over 10 years if both you and your spouse get a Sapphire Reserve card. ($300 annually x 2 people x 10 years = $6000). However, with the increased sign up bonus of 10,000 Chase points, those are extra Chase points in your pocket. It's hard to earn Chase UR points because they are so valuable. If I was starting out, I would gladly trade one year of the $300 travel credit for 10k more points. It really all comes down to whether you think you can get 3 cents or more per UR point. There are many redemptions, especially when transferring to airline partners, where you can get 3 cents or more of value. For instance, booking First or Business class with Ultimate Rewards after transferring to a partner like United, Singapore Airlines, or British Airways can earn you massive returns on your points. However, if you just cash the points out for statement credit or cash, you only earn 1 cent per point. In that case the $300 annual travel credit would be more valuable to you and you should get the Sapphire Reserve. If you don't think you can get 3 cents or more, then I recommend you get the Sapphire Reserve rather than the Sapphire Preferred. Either way you go, if you are in the military you should have a Reserve or Preferred card in your pocket and then upgrade to a Reserve ASAP! With the annual fees waived, these cards are just too good to pass up! Since the sign up bonus on the CSP has increased, you need to decide if you want the $300 annual travel credit of the CSR for the first year or the additional 10k UR points. Personally, I would take the extra points and then upgrade the card after 1 year to a Reserve. This card has no foreign transaction fee, which is essential for OCONUS TDYs and PCSs. You also get 2X points on travel and restaurant purchases. $450 annual fee waived + $300 travel credit + $750 (minimum value) Ultimate Rewards points + $400 Priority Pass Lounge access + $100 Global Entry Fee = minimum $1500 of value for military personnel. Add a second card for your spouse and now you're looking at $3000 of value. This card offers over $1500 of value in the first year alone. Add your spouse and double your value to $3000. The annual travel credit is one of the best benefits on any credit card currently available. 3X points on worldwide dining and travel is awesome and because you're paying no foreign transaction fees, you get to reap the rewards with no downsides. My Priceline car rental and Uber trip to the airport were reimbursed the same day. There's no activation or application required for the travel credit, it's just automatic and easy. I have used my $300 travel credit for 3 years now. Since I travel so much for the government, I alway use the benefit within the first few months of the year. Chase has a “one Sapphire rule,” meaning that you can only hold the Sapphire Reserve OR the Sapphire Preferred, but not both. 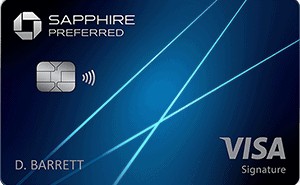 You can upgrade a Sapphire Preferred to a Sapphire Reserve after 1 year of card membership. This not Chase's rule, but is a law called the CARD act, where credit card companies can't raise the annual fee on you within one year. Because of the excellent travel benefits and the fact the the card is free, it makes total sense for both you and your spouse to pick up a Chase Sapphire Preferred card and then upgrade to the Chase Sapphire Reserve. Chase updated their military policy on September 20, 2017. 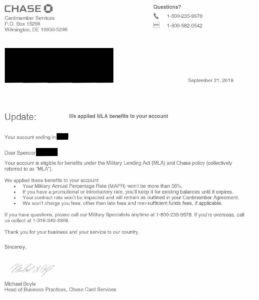 Any account opened AFTER Sep 20, 2017 is eligible for the Chase military fee waiver under MLA. You can click the image to see a PDF copy of the MLA letter I received from Chase. Unfortunately, if your account was opened before 20 Sep 2017, you are out of luck. You can always open a new Chase credit card and receive the fee waiver benefit. I received my MLA letter from Chase before my card even arrived. My wife received her Chase Sapphire Reserve fee waiver MLA letter the day the card arrived in a separate envelope. It's pretty clear from the wording of the letter that all fees are waived except “late fees and non-sufficient fund fees, if applicable.” That's great news for all military members! I’ve been a satisfied Chase customer since 2011. I plan to increase my business with them now that they waive annual fees for military personnel. I recommend you and your spouse pick up a Chase Sapphire Preferred today and upgrade after 1 year to the Chase Sapphire Reserve! After that, pick up an annual fee waived AMEX Platinum and sign up for my course to maximize your military credit card benefits. Does the active reserves (monthly drilling), not the active duty, qualify for this benefit ? Do you suggest getting Chase Sapphire Reserve card for self and adding spouse as an authorized user ($450 waived, $75 waived) and then after reaching spending bonus (my primary card) later getting spouse her own primary card with me as an authorized user ($450 waived, $75 waived) to qualify for spouse (primary card) spending bonus? Does that work to maximize the bonus for both myself and my wife? I am active duty. She is not. If you and your spouse are under 5/24 (less than 5 cards opened in the last 24 months), DO NOT add your spouse as an authorized user as this will count to her/his 5/24 status. Rather, open CSR in your name, meet the minimum spend. Then open a CSR in her name and meet the minimum spend. If you can, open a CSR for each of you at the same time and meet the minimum spend so you can open more cards sooner to maximize your benefits. If you are not planning on opening more than 5 cards in 24 months, then your plan is fine and you can add each other as authorized users. I would NOT do this though as it takes away a valuable 5/24 slot and reduces the number of Chase cards you can potentially open in the next 24 months. It sounds like you are just starting your credit card travel rewards journey. Keeping your options open and not closing any doors is very valuable! How would one pick up two Chase Reserve cards? One for you and one for your spouse if you have one. Otherwise Chase has a “no two Sapphire” rule.